This event will be held at our 9th ave location. 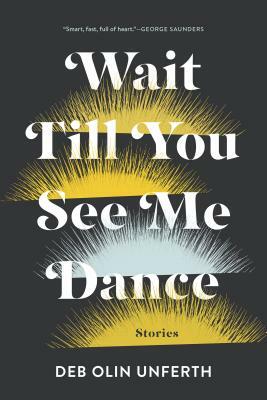 Deb Olin Unferth discusses her new story collection Wait Till You See Me Dance with Ethan Nosowsky. Wait Till You See Me Dance consists of several extraordinary longer stories as well as a selection of intoxicating very short stories. In the chilling The First Full Thought of Her Life, a shooter gets in position while a young girl climbs a sand dune. In Voltaire Night, students compete to tell a story about the worst thing that ever happened to them. In Stay Where You Are, two oblivious travelers in Central America are kidnapped by a gunman they assume to be an insurgent but the gunman has his own problems. Critically acclaimed on its hardcover publication, and praised for its playful inventiveness and delightful prose, Deb Olin Unferth's debut novel, Vacation, features three characters--a man, his wife, and a stranger with ties to them both. Hailed as a "virtuosic one-woman show" (Time Out New York) this New York Times Book Review Editor's Choice pick tells the funny and poignant story of the year the author ran away from college with her idealistic boyfriend and followed him to Nicaragua to join the Sandinistas.